“Outdoor Adventure” should be the nick name for Southern Utah. Utah is one of the top destinations in the country for anyone who likes the outdoors. 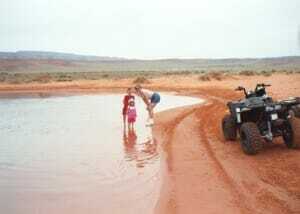 There is a vast amount of outdoor activities and always something to fit everyone, especially in Southern Utah. If you like ATV riding, off-roading, hiking, rock climbing, cycling, jet skiing, boating, fishing, golfing or even just taking in the beautiful scenery then Southern Utah is the place for you. The weather can change drastically from over 100 degrees in the peak summer months to under 30 degrees at night in the winter months. You may not run into any snow in the winter in St. George, UT but just 40 minutes away you can be snow skiing or hiking in the snow. The weather may be semi-warm at Zion National Park in the winter but the water is very cold, be prepared. If you are planning on a trip to the area, then you need to be prepared for your adventure. Dressing in layers, even in hot weather, is always a good idea. You can always take off layers if you are warm but cannot add layers if you are cold. It is also important you always have a pair of long pants with you, even in the summer. Certain times of the year it is always a good idea to have a hat or some rain gear in your backpack in case you get that quick rain squall. A couple of different pairs of shoes are the most important pieces of clothing to have with you. If you are hiking on a graded trail or at the water, then a pair of sandals could be OK but if you are visiting Zion National Park or going on an ATV adventure then you will need a sturdy paid of closed toed shoes. Do not forget to bring a good pair of sunglasses that have a UV rating with you. The summer sun can be a bit intense at times so don’t forget to protect your eyes. Bring a good pair of sunglasses you won’t mind if they get dropped in a river or a sand dune. Always bring a first aid kit with you when in Southern Utah. Throw it in your backpack when you go on an adventure because you never know if you might get a blister from hiking in new hiking boots. ALWAYS BRING A GOOD SUNSCREEN WITH YOU! Our sun can be intense in the summer so it is imperative you have a good sunscreen. DO NOT be afraid to use it often. Even in the winter months we can have very high UV ratings so use sunscreen in the winter months as well. ALWAYS remember to bring plenty of lip balm with you. Remember your lips can get sunburned too. You will need to make sure you are ALWAYS hydrated!! You can never drink enough water in the desert. So, if you are hitting the trail, on an ATV adventure in the dunes, on the rocks or even in the water make sure you are bringing more water than you think you will need. If you are going on a tour, then ask if they provide water for you so you can lighten your load. You will also want to pack a few small snacks like trail mix or protein bars, just in case. When you are out hiking trails, on the water or in the dunes, don’t forget to keep up your energy. Again, if you are taking a tour, ask if they provide snacks for you. 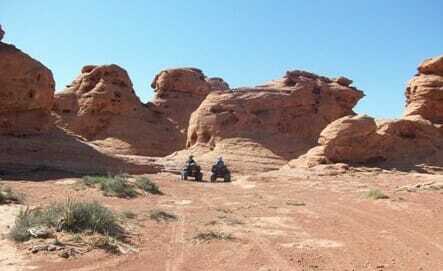 If your trip to Southern Utah includes an ATV or side-by-side UTV adventure on the best sand dunes in Utah, then just call the friendly staff at ATV & Jeep Adventure Tours and let them handle everything for you. The friendly staff can also help you find local accommodations and even other adventures such as zip lining, helicopter rides, mountain biking or even horseback riding with our partner companies. Southern Utah is a year-round travel destination that has so much to offer. It is only a short two-hour drive from Las Vegas or a four-hour drive from Salt Lake City. Don’t miss out on one of the best outdoor travel destinations in the United States.